Once upon a time when I was still in high-school, I joined a gym. I chose to do that as my fitness program than doing P.E. I’ve always been more interested in actual fitness than the semblance of it that is semi-portrayed in school gym classes. Honestly, I’m quite self-motivated, so going to the gym when I could afford it has never been too much of an issue for me. But unfortunately, it doesn’t always work out that way for others, especially when they try to make that their new year’s goal. Studies have already proven that 60% of gym memberships go unused by mid-February. Here’s my recommendation, if you are determined that joining a gym is the right decision for you, than you have my full support, but if you’re the type of person who might need a little bit of a push, then go in it with a friend. Having a gym buddy is a great way to support each other and keep each other motivated. However, I believe that what you’re looking for might actually come from a source other than a gym. There are so many other options to consider and you are being limited by the popular belief that joining a gym is the best option. I mean, it’s shown all over social media. Girls getting gym cards and posting about it on their twitter and facebook accounts. Some of them have even started their own fitness instagram accounts. And if it’s not a gym membership, then it’s yoga. These groups get a surplus of members every January and it’s easy to get drowned in the over-crowded rooms and become just another project for the trainers to work on. You are really missing out on other groups and opportunities when you join the gym. Being in Kung fu is about far more than just physical fitness. Spirituality, mental health, emotional well-being and personal development are all very important elements of Kung fu. As an added bonus, Kung fu teaches you a lot of practical movements to help with self-defence. They can come in handy in various situations. I’ve managed to bat away and deflect a few hands flying my way (in other sports and from sparring with my siblings). Kung fu isn’t easy. There’s a lot of cardio and strength training involved and it can sometimes feel very strenuous. That’s if you want to lose weight and develop strength fast. The physical training side of Kung fu can be somewhat relaxed if this is something you prefer. I would say that there are three components to the physical strength side. The underlying premise of Kung fu is to achieve mastery through hard work and self-control. This may be one of the hardest things to do. Strength training has always been my weak point. I can’t seem to ever grow strength and muscles as fast as I want to. Most people already know that Kung fu was used in fighting. While mastering the technique is well and good, if you don’t have the strength, then your chances of being successful in a spar might not be as high as you would like. You don’t necessarily have to be a bodybuilder, but there’s no harm in being toned. Going through the movements is important and is taken very seriously. Sometimes, Sifu Dan will tell me to go through a form painfully slow until I can master a specific movement. 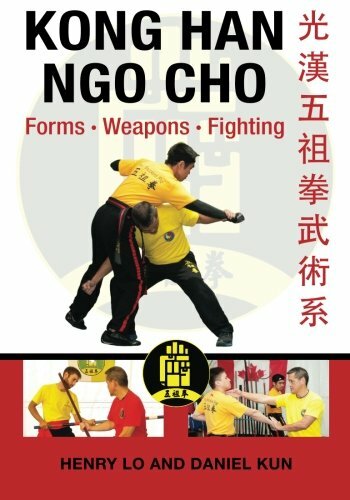 It was the Kung fu legend, Bruce Lee, who once said “don’t fear the man who has practiced a thousand kicks once, fear the man who has practiced one kick a thousand times.” It is very important to be able to understand how your body moves and get it to a point where it is an automatic response. There is also a right way to do things in order to be more effective with your own growth. It’s like going to the gym. Use the equipment the wrong way and it’ll take forever to see results if you see results at all. Doing it wrong might also cause damage to your body. Having a healthy heart will improve the flow of blood into your system to help you perform better. Cardiovascular exercise (or just cardio) is any kind of movement that increases your heart rate to help with blood circulation. Most people do cardio to help them burn excess calories and increase your stamina and endurance. Doing cardio will also help to increase your metabolism. Be careful with this point though because many people think that it’s an excuse to eat more. And okay, so I’m guilty of thinking that way too sometimes. But making sure you have a balanced diet is important for your cardio workout. Don’t go to the gym for losing weight, joining Kung fu can be a great way to lose weight fast and get fit. The way of Ngo Cho Kun isn’t to cause pain to others. We believe that true strength is to know when to control your emotions and when not to fight. This style was originally developed to help China in times of war, but it was used as a defence. If your sole aim is to cause harm, then this might not be the type of martial arts you want to practice. While there is sparring, spirituality has a heavy influence on our practice. In this style, we are taught basic meditation and breathing techniques to help us in our practice.Spirituality doesn’t necessarily mean that you are religious. However, it is a way to help you become aware of your surroundings. It teaches how to become more accepting to yourself and others and to be able to work with nature. I admit that this way of thinking has influenced me some since the start of my Kung fu journey. Although I have the occasional slip-up, I feel that I am genuinely more content and understanding in life. Take control of what you feel. If I had to say what I thought the most important thing I learned in Kung fu was, it would be mastering emotions and controlling the thoughts in my mind. I would say that I have a bit of a temper and I used to believe that my sense of justice was strong. I know better now. While my temper has improved some, I am very aware of how my past self was a little too full of herself. Justice to me meant that since I didn’t start the fight, I had to be the one to finish it to even the score. It is important in Kung fu to control these thoughts and open your mind to the possibility of other ways of thinking. As you breathe during meditation, you should breathe in clean air and expel old air that contains the negative aura.This part of Kung fu is all about knowing yourself. Being confident with who you are and in whatever you do is the best way to show your own strength. Knowing your own capabilities and being aware of them can help you in a number of situations. Not just in terms of defending yourself against a threat, but defending your rights as an individual as well.